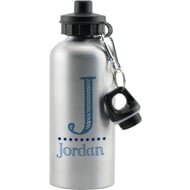 The first initial will be printed in a larger font above the full name. 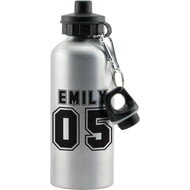 Personalise this funky shark sports bottle with any name up to 15 characters. The material of the bottle is aluminium and the lid is plastic. 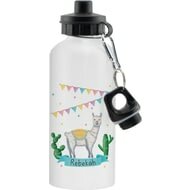 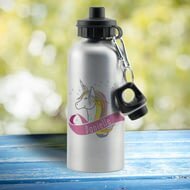 This quirky llama drinks bottle can be personalised with any name up to 15 characters. 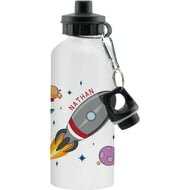 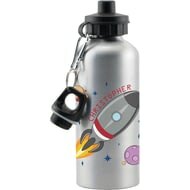 This rocket in space drinks bottle can be personalised with any name up to 15 characters. This cool yellow robot drinks bottle can be personalised with any name up to 15 characters. Personalise this cute pixie drinks bottle with any name up to 15 characters. Personalise this fun octopus drinks bottle by selecting your colour and adding any name up to 15 characters.